Once the warm glow of their stunning Leinster club success over Kilmacud Crokes begins to recede, Mickey Graham can start closing off large parts of his diary for the early part of next year as he prepares for action on two fronts. The Mullinalaghta supremo has already had a hectic schedule since taking over as Cavan boss in September. But the onset of inter-county matches – three in the McKenna Cup in January and three more in the Division 1 of the league with Cavan – prior to their All-Ireland club semi-final against Dr Crokes on February 16, Graham will be a particularly busy man. But it’s far from uncharted territory for a manager to ‘double job’ at such a busy stage of the season and there’s a positive omen for Cavan in that two of those to do it most recently, Mickey Harte and Pat O’Shea, went on to win All-Ireland SFC titles that same year. Anthony Cunningham and O’Shea found themselves similarly engaged until the end of March as their respective club teams were brought to All-Ireland club football final replays. Cunningham had already been appointed Galway hurling manager when Garrycastle were crowned Leinster senior champions in 2011. They subsequently drew with Crossmaglen in the final on St Patrick’s Day. The following day Cunningham was down in Cork for a league match. 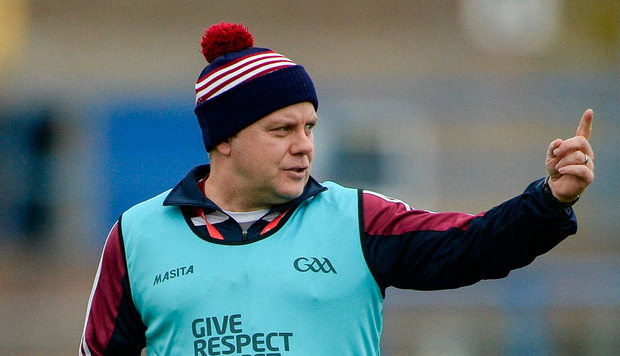 The replay, which they lost, didn’t take place for two weeks and again Cunningham was on Galway sideline duty within 24 hours when they lost to Kilkenny to compound a difficult weekend. But by September Galway were contesting an All-Ireland final and replay against Kilkenny. O’Shea had similar fortune. He stepped in for Jack O’Connor just as Dr Crokes were reclaiming the Munster club title in 2006. Their progress continued until early April when, after drawing with Crossmaglen in their decider, they too lost the replay. By then Kerry were well on their way to securing third place in their division and O’Shea would deliver back-to-back All-Ireland titles for Kerry the following September. Harte also had a crossover in the early part of 2003 as he took on the Tyrone job, having guided Errigal Ciarán to Ulster success in 2002. But they exited at the All-Ireland semi-final stage, freeing Harte to go and oversee a clean sweep of league, provincial and All-Ireland titles. Separately, Mullinalaghta’s win prevented a ‘first’ for the record books on Sunday. Had Kilmacud Crokes justified favouritism it would have been the first time in the 49-year history of the competition that the four senior provincial club champions came from the counties that had won provincial titles during the summer.